This article has been deleted by Kxan on 10 February 2019, 19:30. We keep a copy of it on Undelete.news website available for everyone. 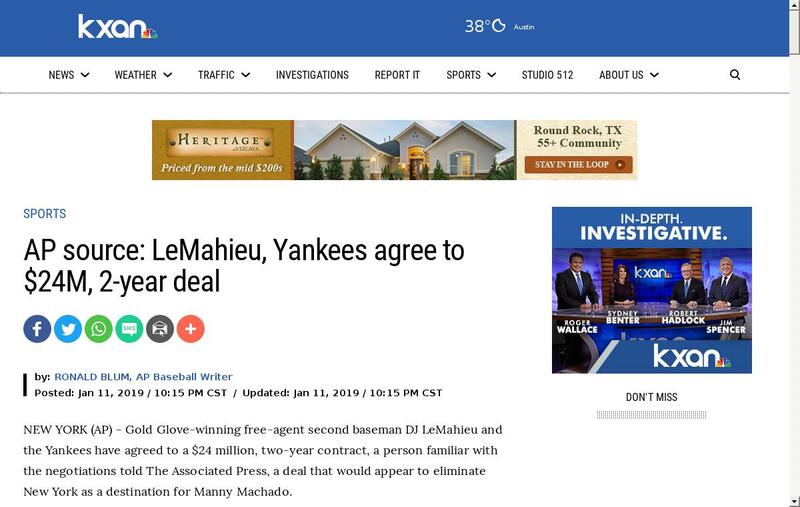 NEW YORK (AP) - Gold Glove-winning free-agent second baseman DJ LeMahieu and the Yankees have agreed to a $24 million, two-year contract, a person familiar with the negotiations told The Associated Press, a deal that would appear to eliminate New York as a destination for Manny Machado.